SAN Miguel is allowed to sign top rookie pick Christian Standhardinger to a maximum deal even if the Fil-German big man has a live contract with Asean Basketball League (ABL) side Hong Kong Eastern. But here's the rub: any contract Standhardinger signs with the Beermen won't be binding until the end of his contract with the HK Eastern Lions. The 27-year-old big man was already signed to a six-month contract by the defending ABL champions even before he applied for the PBA rookie draft. The regional league is set to kick off its new season on Nov. 19, meaning Standhardinger is tied to his contract obligation with the Hong Kong-based team until May of next year. If ever, the 6-foot-7 Gilas Pilipinas stalwart would only be available to suit up for San Miguel until the mid-season Commissioner’s Cup. His case however, is not an isolated one as far as the PBA is concerned, according to operations chief Rickie B. Santos. The long-time league official cited several instances in the past where rookie players were signed by their mother ballclubs to contracts that didn’t become effective until they began playing in the pro league. “It’s been done before with players who were still playing in the NCAA and earlier, the UAAP,” said Santos. He recalled the case of Don Allado before when he was tabbed by Alaska as a first-round pick in the 1999 draft, but didn’t see action for the Aces until the third conference when the 6-foot-6 forward was done playing for De La Salle in the UAAP. Even more memorable was the case involving PBA great Alvin Patrimonio. “He also started playing (in the PBA) midway through the season,” said Santos of the four-time league MVP. Patrimonio one of the direct hires elevated by Purefoods to the pro league in 1988, but he didn’t join the franchise until the second conference owing to his contractual obligation with Swift in the defunct Philippine Amateur Basketball League (PABL). Recent cases involved the likes of Baser Amer, Mark Cruz, and Kevin Racal, who only played for Meralco, Star, and Alaska, respectively, shortly after the 2015 NCAA finals between San Beda and Letran. “So San Miguel can sign him (Standhardinger) to a contract that will be effective right after the ABL tournament,” stressed Santos. All teams are given at least five days to make a tender offer to all first-round picks in the draft. Messages made to San Miguel management confirming whether Standahardinger already signed up with the Beermen have yet to be answered as of posting time. 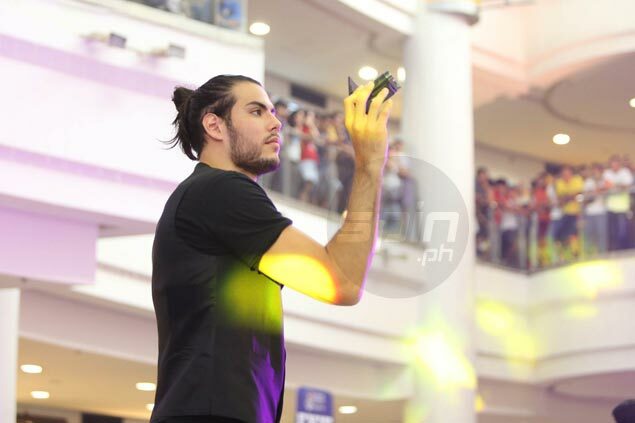 Missing the early part of the season could also cost Standhardinger a shot at winning the Rookie of the Year award. As per PBA rules, a rookie who failed to play in at least 70 percent of his team's total games for the season won't qualifiy him for the once-in-a-lifetime award.